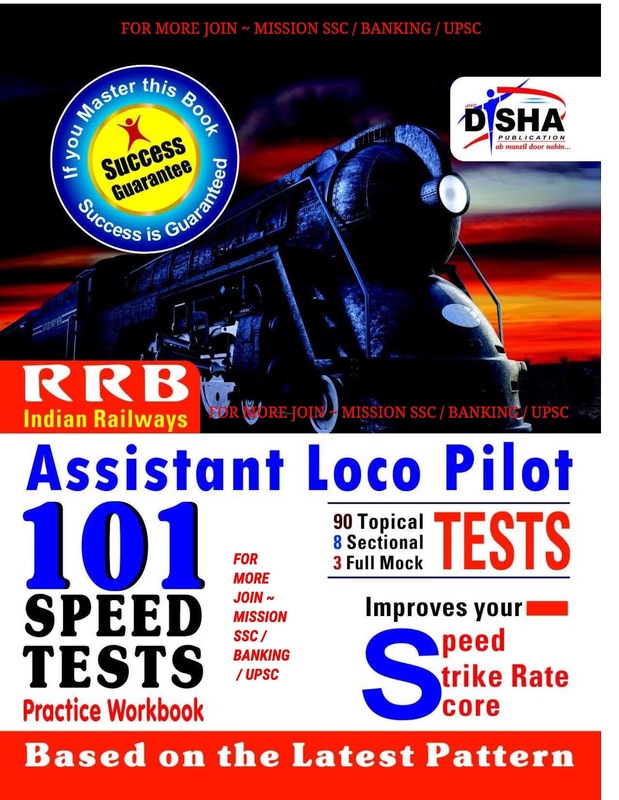 Hello Students, We are here with an important book for ALP [Assistant Loco Pilot] Exam 2018 PDF book by Disha Publication. IF YOU MASTER THIS BOOK SUCCESS IS GUARANTEED IN THE UPCOMING ALP EXAM Yes, it’s true. 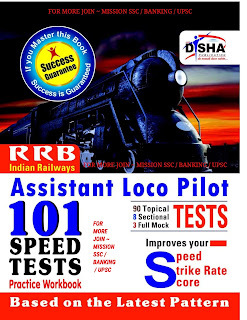 If you can master this book you will crack the Assistant Loco Pilot Exam for sure. This is the 1st and the Most Innovative Book for the most sought after ALP. It contains all the IMPORTANT CONCEPTS which are required to crack this exam. The concepts are covered in the form of 101 SPEED TESTS. No matter where you PREPARE from – a coaching or any textbook/ Guide — 101 SPEED TESTS provides you the right ASSESSMENT on each topic. Your performance provides you the right cues to IMPROVE your concepts so as to perform better in the final examination. It is to be noted here that these are not mere tests but act as a checklist of student’s learning and ability to apply concepts to different problems. The book is based on the concept of TRP – Test, Revise and Practice. It aims at improving your SPEED followed by STRIKE RATE which will eventually lead to improving your SCORE.